There are always lots of fads and trends that come and go when it comes to diet and health. One of the most popular diet trends at the moment is juicing. 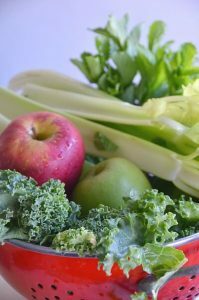 And while lots of people are jumping on the juicing bandwagon, primarily for health reasons, is juicing healthy or not? 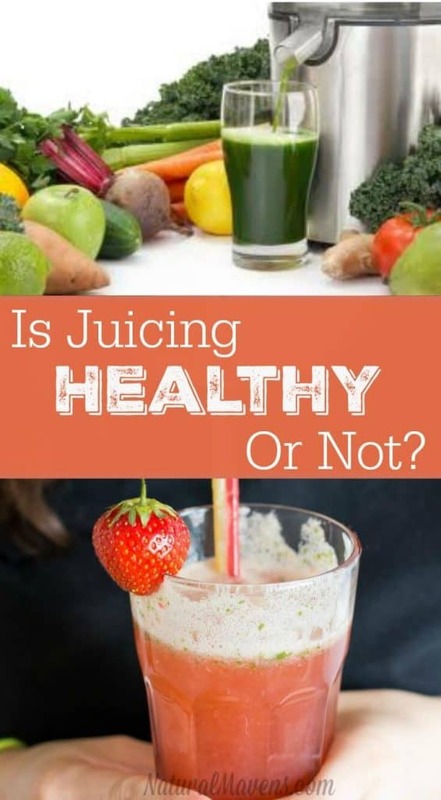 Let’s take a closer look at why juicing is so popular, the pros and cons of juicing and whether it should be a part of your regime. The technology has progressed a lot since the more ‘manual’ options and today there are all types of juicing appliances available. This has made juicing easier, faster and helped to fuel the rise in popularity. From a health perspective, juicing is seen as a way to cleanse the body, lose weight, and greatly increase intake of vitamins and minerals. For many (including children), the thought of eating certain raw fruits and vegetables makes them cringe. However, if those same fresh fruit and veg are juiced, they become far more palatable. This makes it easier to get some (not all) of the goodness from the fruit and vegetable, including vitamins and minerals. On one side of the juicing trend there is the marketing effort. On the other side is science. The marketers will offer this simple logic…If fruits and vegetables are good for you and your body, then drinking them in one go each day, must surely be of benefit? However, the science behind it is a little more complex than this simple marketing line. The reality is there are both pros and cons that should be considered before you decide to make juicing an integral part of your diet. So let’s take a look at the science and see how healthy juicing really is. This is where the marketing side has things right and is backed up by science. Here are the pros of adding juicing to your diet. If your daily diet is poor, then juicing, even on a semi-regular basis, can provide your body some much needed nutrition. The stripping away of much of the fiber content in fruits and vegetables during the juicing process makes it easy for your body to absorb the nutrients faster. This gives a high dose of nutrients that contribute to overall health and well-being. They will also help to boost your immune system. 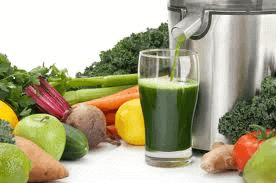 During juicing, the fiber of the fruit and vegetables is pulverized. This unlocks beneficial enzymes found in some fruits and vegetables and makes them available for digestion and absorption. Enzymes can help with digestion and preventing disease, so have a valuable role to play. Juicing regularly is a dietary habit change that is actually of great benefit. You’re consciously thinking of your body, your health and what you’re putting into your body. So developing the juicing habit gives a massive psychological benefit, particularly for those who have had previously poor eating habits. This change in habit can lead to other positive life changing activities, including regular exercise and eating more foods of greater nutritional value. Many of us don’t eat enough fruit and vegetables on a daily basis, so drinking even one small cup of freshly juiced vegetables and fruits can help our bodies. Despite the strong marketing line, there are a few downsides to juicing you need to be aware of. Much of the nutritional science behind it is still being debated in diet circles, but there are a few issues that are slowly becoming more well-known. The process of pulverization that helps to strip away most of the insoluble fiber and make it easy to absorb the goodness of juice, also has a downside. Insoluble fiber is essential to a smooth digestive process and an important part of a healthy diet. It helps to maintain a healthy weight by making you feel fuller for longer. As fiber is being stripped away from the juice, it is important to ensure it is included in your diet through other sources. With fiber removed, our bodies not only absorb a super hit of nutrition. They also absorb a lot of natural sugar, particularly when the juice blend consists primarily of fruits. This creates an abnormal spike in sugar levels, which is clearly problematic for diabetics and promotes weigh gain. Over time, this excess of fructose sugar can cause weight problems as the sugars are converted to fats and stored in the body. So, if you are juicing regularly, it is important to mix up the ratio of fruit to vegetable. The sugar overload only occurs when fruit is the predominant ingredient. Turning it around and making vegetables the main ingredient (80-90%) removes this problem. Often, just a small amount of fruit is needed to make the juice sweet enough and your body will thank you. Juicing can be expensive, with a quality machine costing around $150 or more. Add to this the cost of fresh produce, and it can start to add up. Sometimes quite a bit of fruit and veg is needed to make just one glass of juice. However, if you trade this off against the cost of illness, it is still a worthwhile investment in your health. Juicing is definitely here to stay. While there are a few issues to consider if you are going to start juicing regularly, the benefits to health are far greater. Particularly if your diet is poor. Drinking juice offers a great way to get much needed vitamins, minerals and enzymes into your diet and is worth the cost and effort. You know what? I have juiced and loved it. By the way. You can’t just juice and no eat anything else. 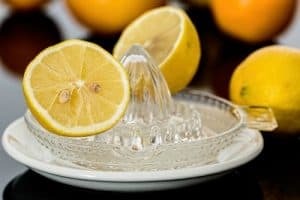 You can do a 5, 7 or 14 day cleanse. But you do eventually have to eat. If you are a woman and suffer from iron deficiencies like I do, juicing does help greatly. Also, I knew a man who had cancer, his holistic nutritionist did recommend he juice everyday with food. He lived 4 extra yrs after he was to.d he would die within 6 months. The juicing was a big part of his extended shorten life. It’s completely up to you, I don’t see any real cons but way more pros to juicing! Hi kristy,very informative. I love to eat and live healthy.